Haircare is a massive topic for me, and is one I try to regularly feature amongst my content because it is such a big part of my beauty regime. 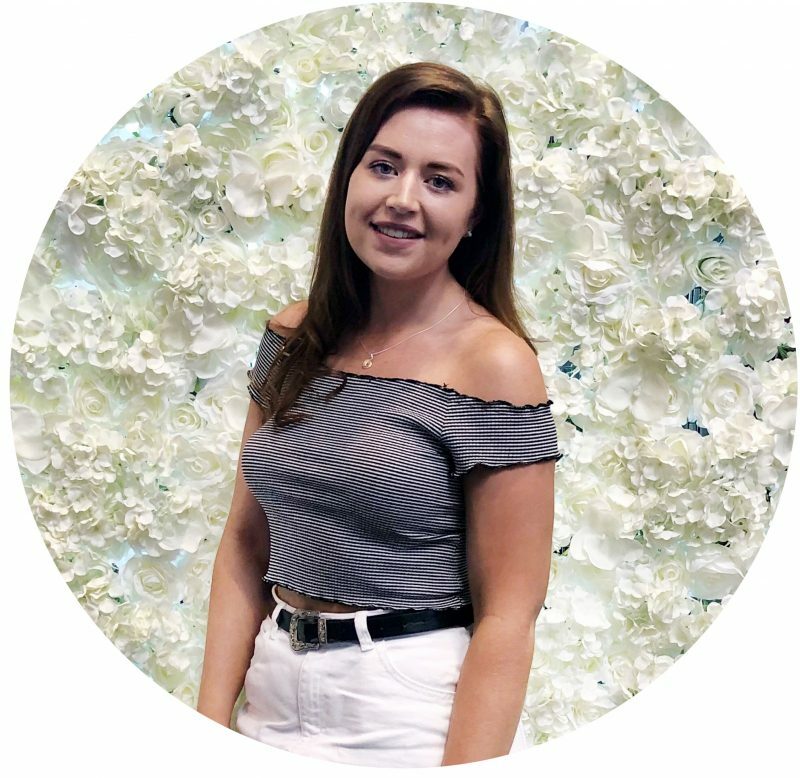 A few months back I had the opportunity to try out L’oreal’s Smartbond Treatment (which you can read all about here) and ever since i’ve been really loyal to them as a brand, purely because my hair has been in the best condition it has for a fair few years now. Following on from that blog post, the lovely team at L’oreal sent over a new range of theirs specifically aimed at coloured hair as we all know the damage hair colourants can do to our hair and I always try to use products that help to limit the damage as much as possible. 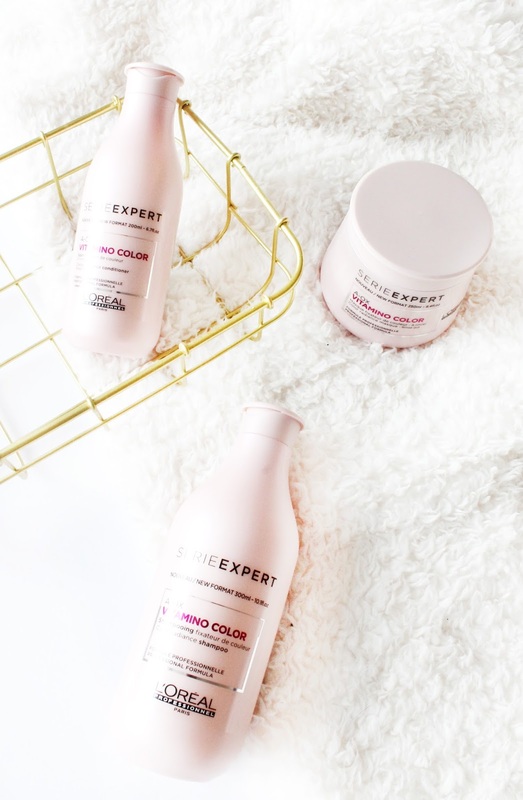 The L’oreal Serie Expert Vitamino range is specifically targeted towards coloured hair, of which uses A:OX technology which is designed to prolong a colours radiance helping to protect the hairs colour and shine, whilst also locking in moisture to the hair shaft. So when I first heard about this range I was instantly sold, as I am always in need of products that help to keep my hair colour looking vibrant and shiny, as I find some products over time can really leave my hair looking and feeling dull. Within the range itself there are a fair few products aimed at protecting and refreshing coloured hair, but i’ve been trying out three products all of which I have been absolutely loving! Firstly we have the L’oreal Serie Expert Vitamino Colour Shampoo* (£11.50) which is probably one of the nicest shampoos aimed at coloured hair that i’ve ever used. It works amazingly to give the hair a deep clean, removing any product build up or excess oils from the scalp, but it also leaves my hair looking so shiny and feeling so silky soft! In conjunction with the shampoo i’ve been using the L’oreal Serie Expert Vitamino Colour Conditioner* (£12.50) as I always make sure to use a conditioner, otherwise my hair can get so knotted and dry that it’s unbearable trying to do anything with it! I find this conditioner to work just as good as a hair mask would in the sense that it leaves my hair feeling incredibly soft, and tangle free. Again this uses the same A:OX technology to leave the hair looking radiant, whilst also locking in moisture often lost from hair colourants, and so far I am loving using these two products together. Finally from this range is the L’oreal Serie Expert Vitamino Colour Hair Mask* (£14.75), which i’ve been using one to two times a week as a little extra conditioning boost for my hair, as it often needs a hair mask come mid week and the weekend. Again just like the shampoo and conditioner this uses their A:OX technology to really protect the colour in your hair whilst also locking in moisture to give silky soft locks. Now for me I find that I can use this instead of using the conditioner, otherwise it’s a bit too much for my hair to take but if you’re wanting a little more conditioning after your usual conditioner, then this the hair mask for you because it is amazing! So that is the hair care range that i’m currently singing it’s praises because my hair has honestly not been in this good of condition in such a long time, it’s honestly been years and I would recommend it to anyone who suffers with damaged hair from colouring their hair over the years! Have you tried any products from L’oreals haircare range?